More Info & Photos on Facebook! The Fire Department regularly responds to structure fires, fire alarm activations, motor vehicle crashes, brush fires, search and rescue, EMS assists, vehicle fires, trees and wires down, public assists, hazardous materials situations, and mutual aid calls to other communities. 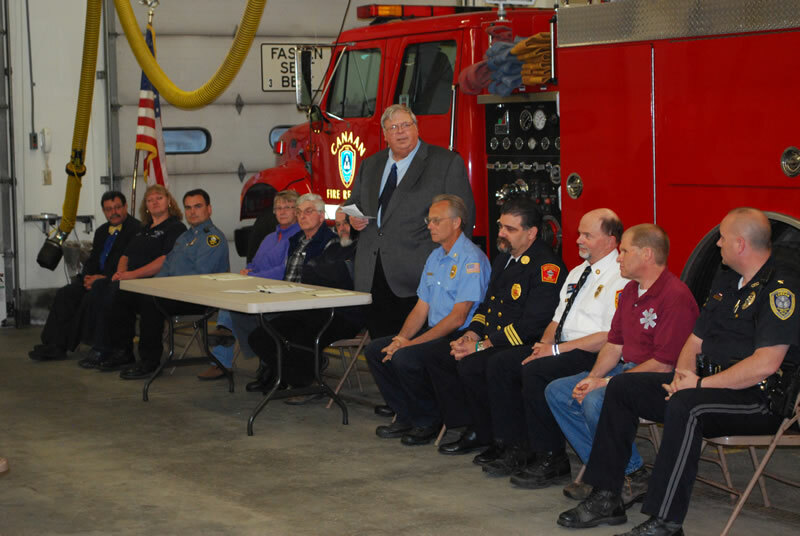 The Fire Department also provides contract services to the Town of Orange and half of the Town of Dorchester. We also conduct fire prevention activities in our school district and day cares as requested. Seasonal Campfire Permits must be renewed annually beginning in January. Even if you have a permit from the previous year and have not changed the location or size of the campfire ring, it still needs to be renewed each year. Permits may now be renewed online at this link for a fee of $3 each! 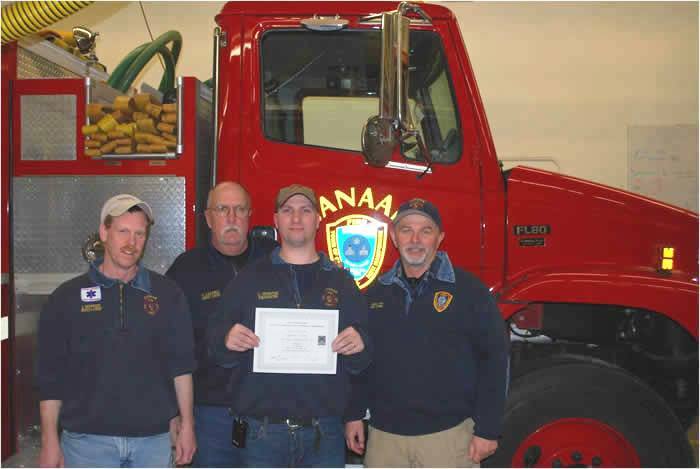 The Fire Department renews these permits by appointment, or during the months of April and May, and the first two weeks of June by drop-in on Thursdays from 6-8 p.m. at the Fire Station. Bring your expired permit for renewal with you. If you are getting a first time permit, your campfire ring will need to be inspected by a warden before a permit is issued; call to make an appointment to do so. Construction Details are available from the NH Division of Forest & Lands. If you are interested in getting a brush permit, the brush pile will need to be inspected before a permit is issued. Please click the link above for complete details on what may be burned. Do not call a warden before 9 a.m. or after 5 p.m. to obtain a permit for a brush permit. Remember that brush permits are issued when the weather is favorable for burning but not during periods of high fire danger. For brush permits in permissible weather, please contact Hanover Dispatch at 643-2222 for the name of a warden. 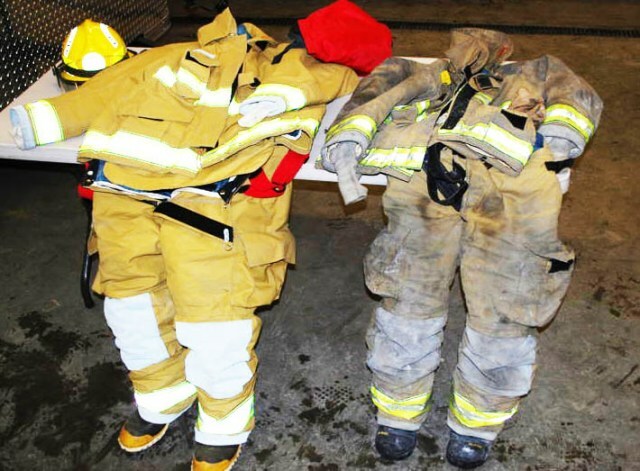 In 2017 worn turnout gear was replaced with CIP monies. 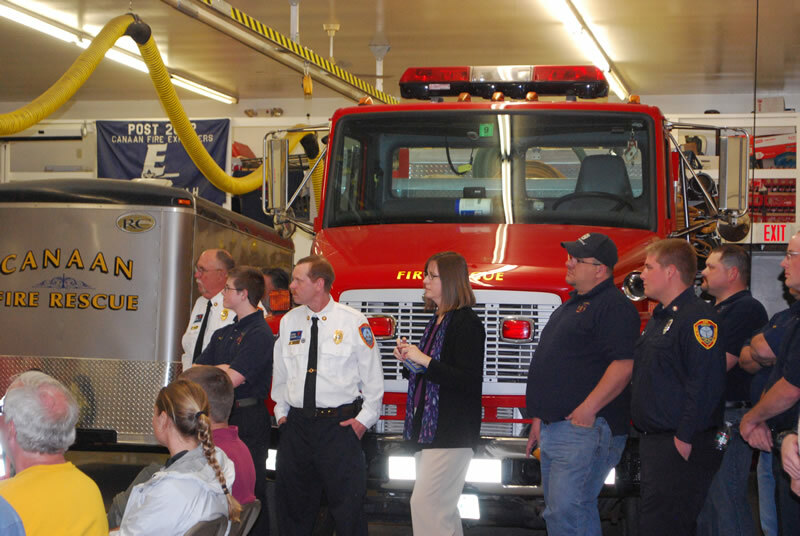 Canaan and Enfield Fire Departments' Career Day for area students. Fire Department Office: 523-4850 - Please leave a message. 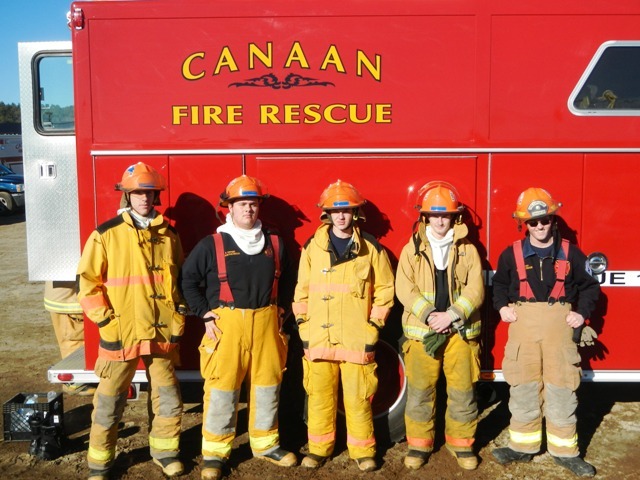 The Canaan Fire Department and its members are dedicated to protecting and serving our community and residents. 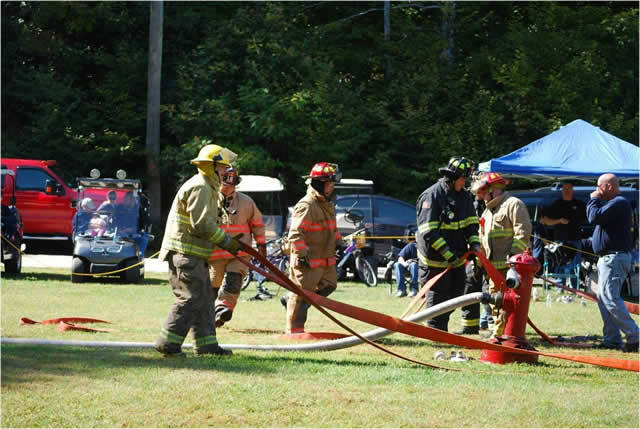 The Department operates to the best of its ability given our resources of staff, equipment and training. 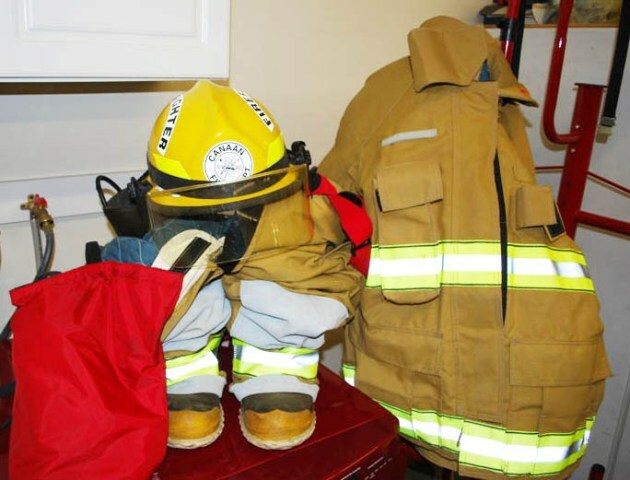 The Fire Department does not employ any full-time personnel; members are on call status, which means that they are compensated for the calls to which they respond. Once a call is received via pagers firefighters carry, they respond to the station to staff the fire apparatus and respond to the emergency. 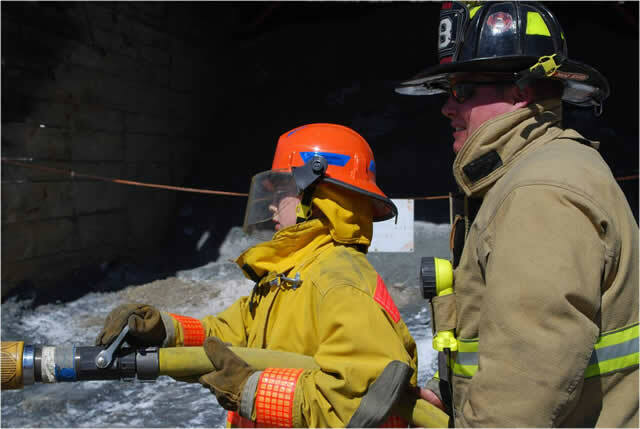 Members are constantly training, either locally, at state fire academy programs or out of state, to keep up with the constant changes that we encounter. We currently have a several new members enrolled in a Firefighter One program which they will be attending for 2 nights a week for 4 to 5 months in Concord, NH at the NH State Fire Academy. 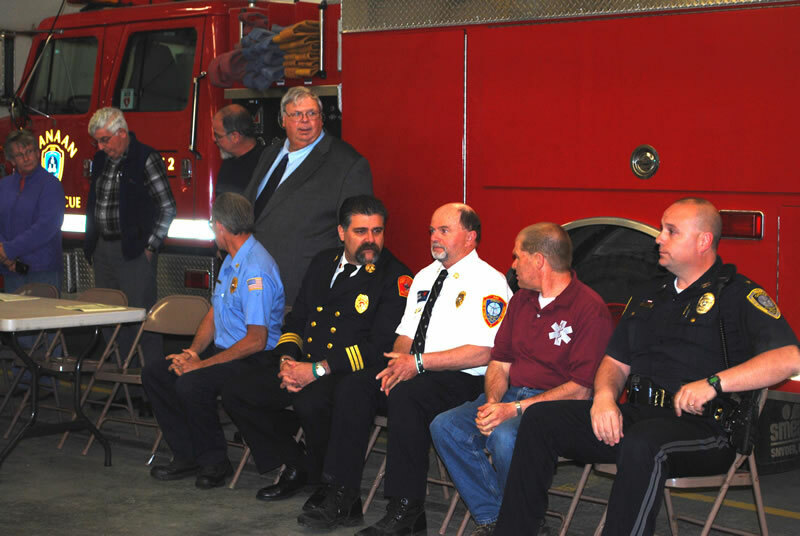 Members of the Canaan Fire Department attend training and or education meetings at least once month and often more frequently. Training can consist of learning how to operate the water pumps on Engines 1 and 2 and the Tanker as well as learning how to drive these pieces of apparatus. They learn how to fill the SCBA bottles and how to maintain the bottles, masks and regulators and the cascade system that is used to fill the bottles. Other instruction includes training for day and night search and rescue calls and practicing GPS skills for these calls. 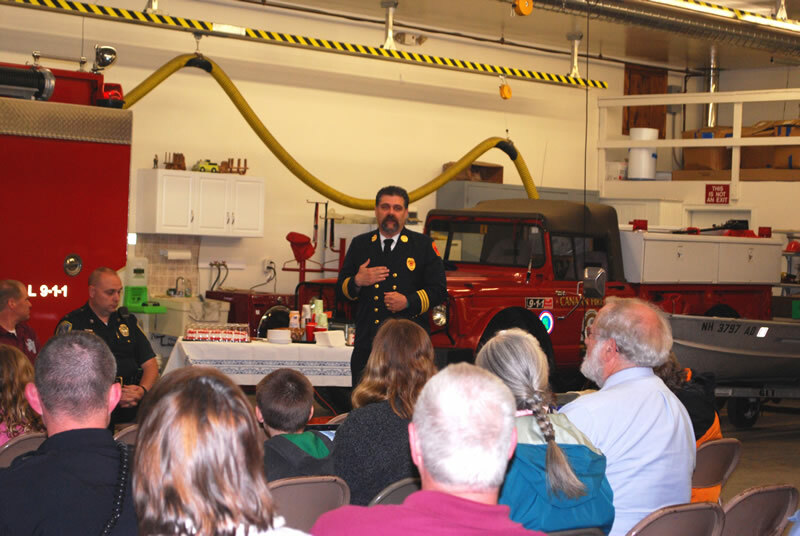 Members of the Canaan Fire Dept also regularly attend training sessions outside of their monthly training and education time at the Canaan Fire Station. They take advantage of furthering their education whenever they can. Some of the fire fighters are even crossed-trained to provide Emergency Medical assistance as First Responders and EMT's. 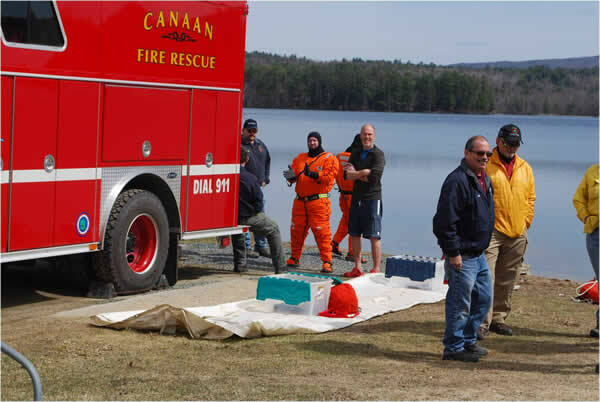 This cross training is one of Canaan's greatest strengths when it comes to emergency response and management for our town. A number of our employees cross-train with the Highway Department, the Transfer Station, the Police Department, Fire Department and FAST Squad. 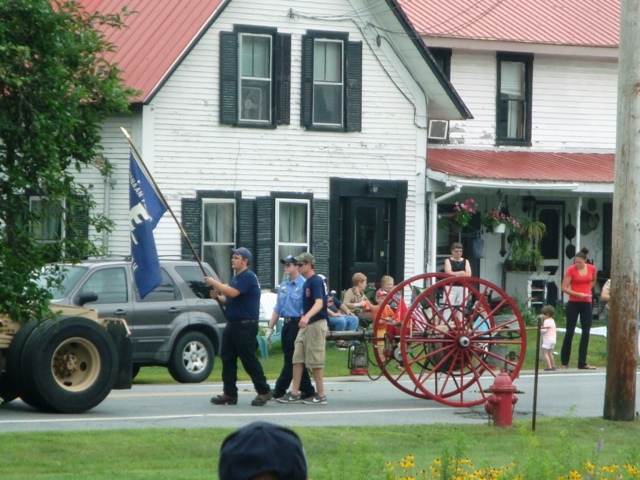 Many of the FAST Squad and Fire Department activities are on an as-called basis, and sometime these departments have a problem getting enough workers during normal business hours. 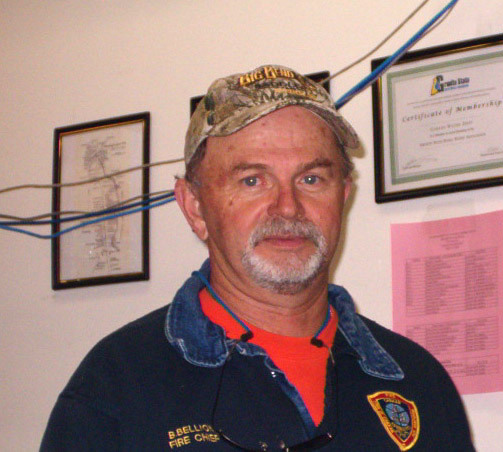 Having people who are available during the day who can serve in dual roles is a tremendous asset to the town. We rely on these neighbors, friends, and family members' willingness to train on their own time to keep current in these fields. We owe them our thanks and appreciation – and often our lives! Thank You, Emergency Service Volunteers! 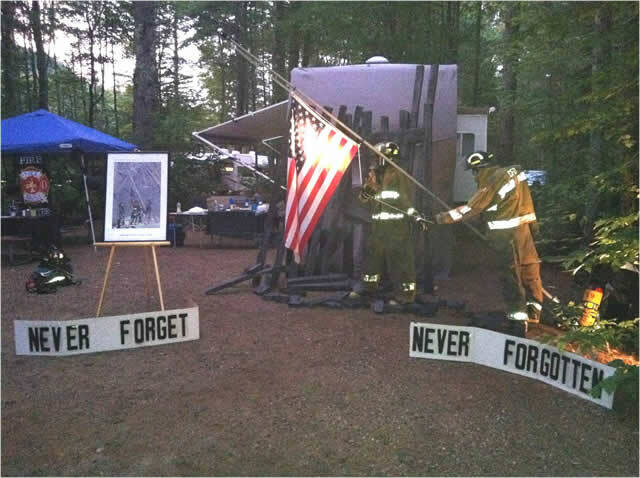 Annually the Canaan Fire Department and their families attend a Firemen's Muster where they share training, information, and support with other fire departments. 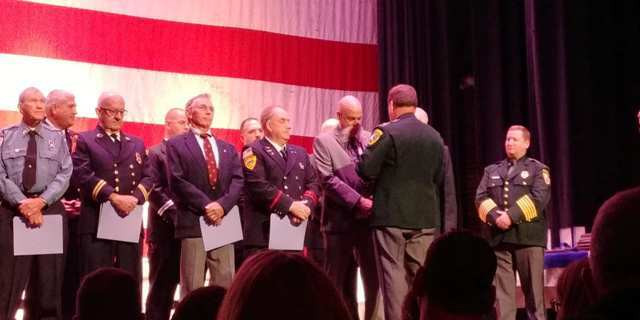 On September 24, 2018 during the 27th Annual NH Fire & EMS Awards, Firefighter/EMT Brent Stevens was presented an award for 40+ years of service as a Deputy Forest Fire Warden for NH Forests and Lands. 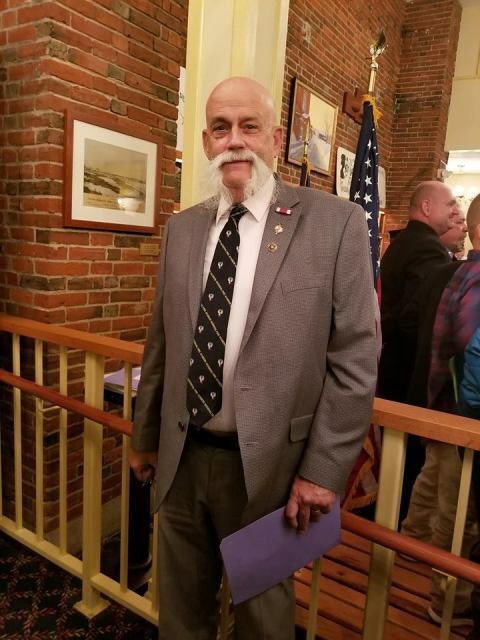 Brent became a Deputy Warden in 1974 for the Town of Canaan and still holds this position along with the titles of Warden for the Town of Orange and also Special Deputy Warden. 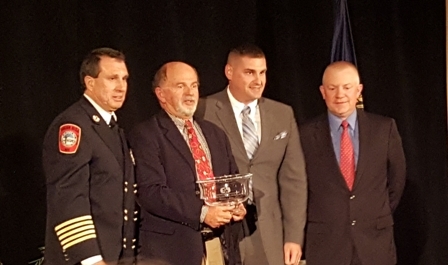 Fire Chief Bill Bellion received the honor of being named Firefighter of the Year by the North Country Public Safety Foundation on Friday, October 27, 2017. 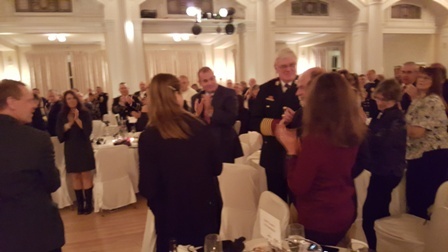 This organization annually recognizes a Firefighter, a Police Officer and an Emergency Services Technician as the Firefighter, Officer or EMT of the year. Bill was nominated for this award last year. (Nomination attached here). The people who signed that nomination clearly believe that he deserves this recognition. 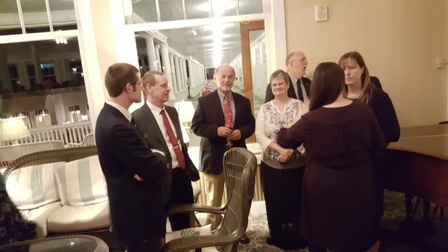 So did the officers and board of the Foundation. This year, he received that honor. Four hundred of Bellion's colleagues, including 20 from Canaan, attended the surprise (to Bill) celebration of this designation. He returned to Canaan in time to manage the storm that started Sunday night. You can listen to Bill's acceptance speech by clicking here. Photos of Extrication Training that led to the high level of expertise which resulted in Commendation! 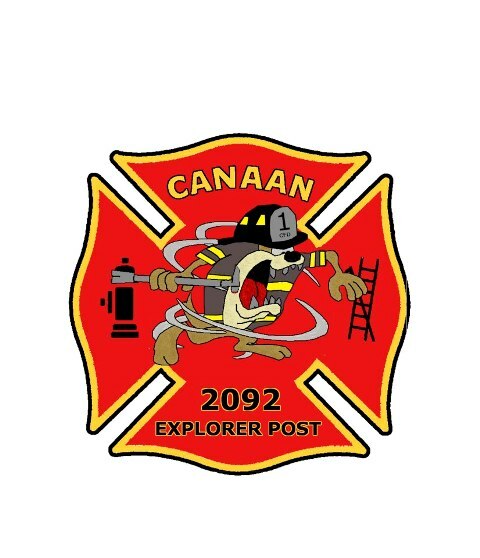 About us: The Fire Explorer Post in Canaan was originally established in 1992. After a few years, the Post was disbanded due to a lack of interest. 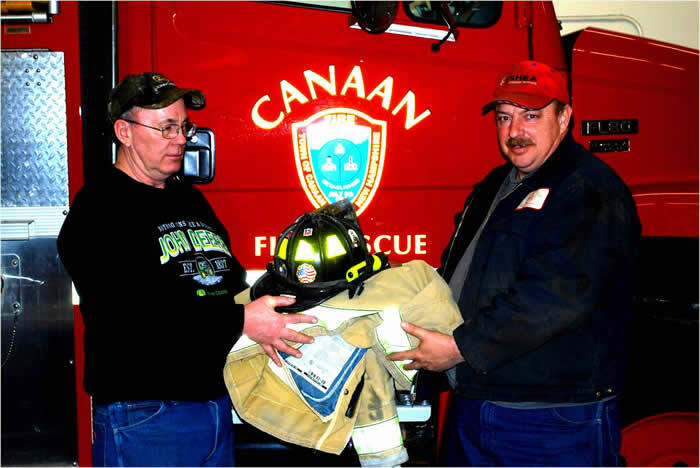 In 2013 after finding there was interest again in our community, the Post was re-established with the help of the Canaan Firefighter's Association. What we do: Post members assist firefighters on calls and at the station while learning about careers in the Fire/Emergency Services. We assist with many jobs on emergency scenes including: filling air packs, water supply, search & rescue, firefighter rehabilitation, moving/carrying equipment, and cleaning up after calls. 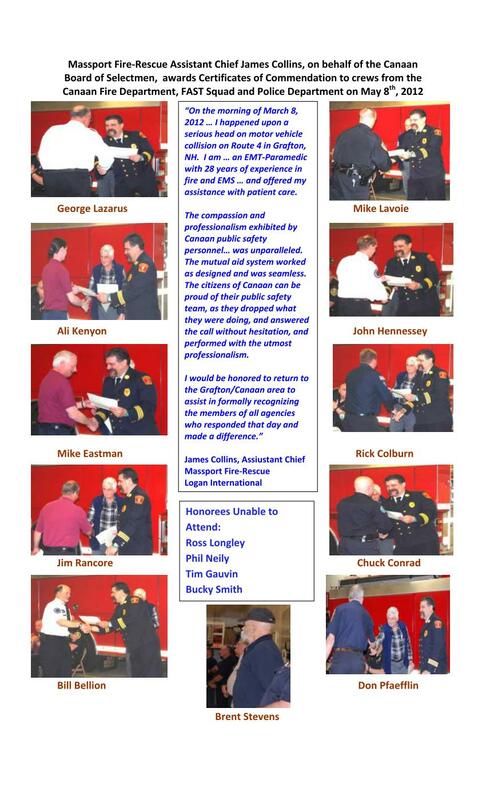 Many members of the original Post have moved on to become firefighters in other places or have retired from fire service careers. 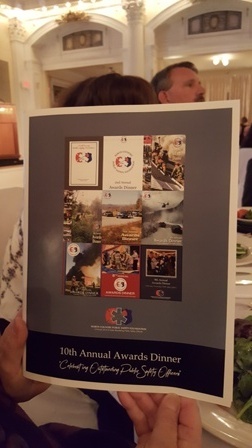 Fundraising: We try our best to fundraise and have been able to build our funds through writing donation letters, selling ice cream on Old Home Days, and selling first aid kits. Fundraising allows us to buy up-to-date equipment, Ex. helmets, jackets, pants, boots, hoods, flashlights, gloves, etc. 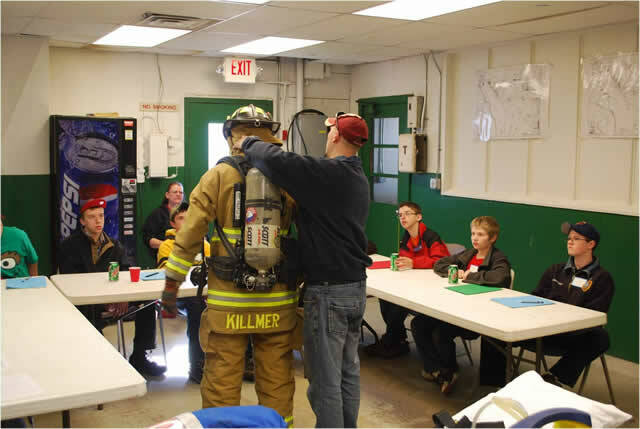 How to join: Exploring is open to young men and women, ages 14 (and finished with 8th grade)-21 that are interested in a career in Fire and Emergency Services. We are always looking for new members! If you are interested in a career in Fire or Emergency Services and live within the Mascoma School District then contact us! 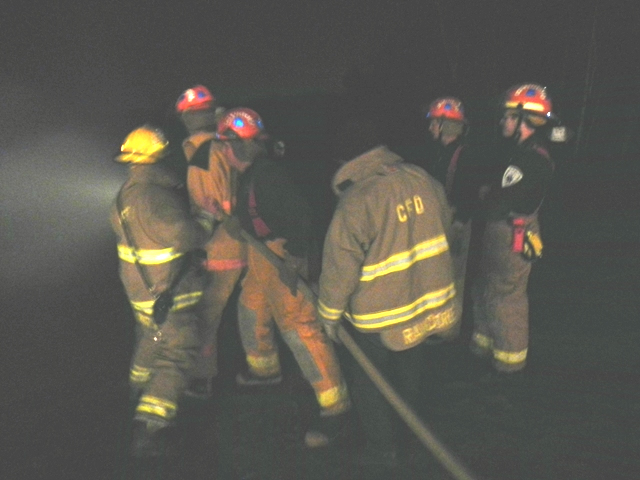 Post 2092 responded and assisted at 11 emergency calls in 2013. Post 2092 responded and assisted at 47 emergency calls in 2014. Training: Explorers here have the great opportunity to train with our local fire departments and also to attend the New Hampshire Fire Academy. Every year the Fire Academy in Concord runs a week long training session in the summer for Explorers. In the fall, the University of Exploring runs a weekend session to further educate explorers. 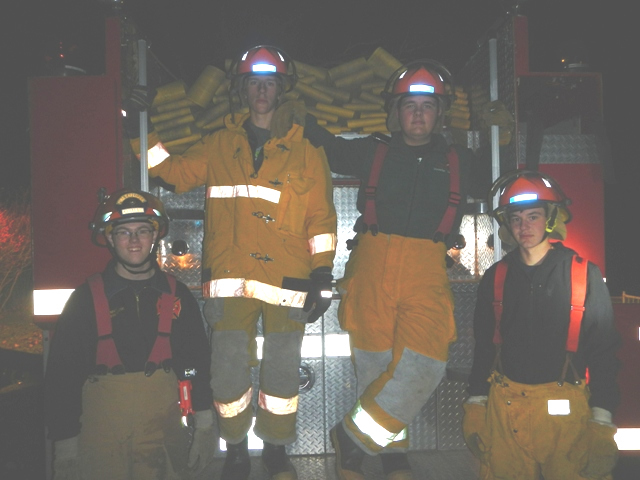 In 2013 two of our Explorers attended the fall session and took Engine & Ladder Truck Operations, Firefighter Safety and Survival, and Automobile Extrication classes. In 2014 two Explorers attended the fall session and took EMS/Ambulance Operations, Dispatch Operations, and Wild land Firefighting classes. 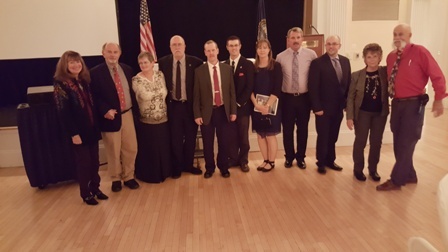 We are fortunate enough that these state instructors have taken the time to pass on their knowledge to better our education in this line of work. 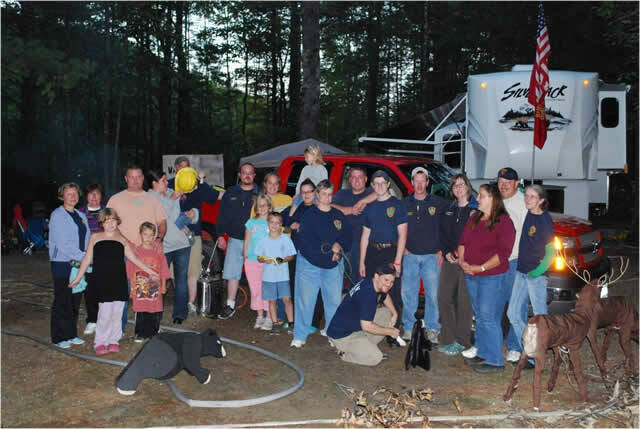 By attending these sessions, Explorers can learn hands-on firefighting operations. We are asking EVERYONE in our local communities to enroll in the CODE RED program. It is absolutely FREE. 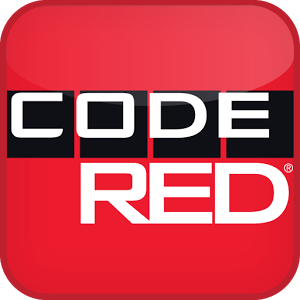 CODE RED allows us to notify you in an emergency. Your home "landline" is already enrolled, but mobile devices are not. With the increased prevalence of mobile device only homes, we need to be able to let you know if there is an emergency. Be sure to also visit our Emergency Management Page and the ReadyNH website to learn how to prepare for emergencies. 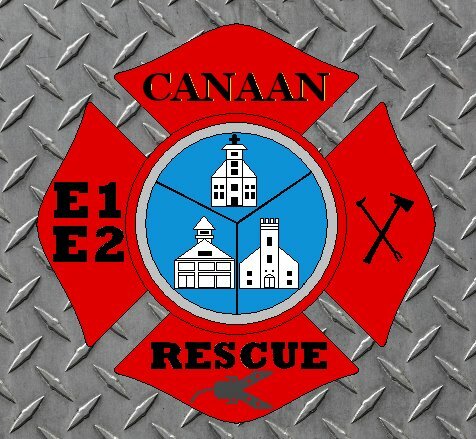 *Canaan is an on-call only fire house. Please leave a message and someone will return your call. To obtain a permit, make an appointment by calling 643-2222.